Chintral - translated as field in the native language Khowar, is the capital of the Chitral District, situated on the western bank of the Kunar River (also called Chitral River), in Khyber Pakhtunkhwa, Pakistan. The town is at the foot of Tirich Mir, the highest peak of the Hindu Kush, which is 25,289 ft (7,708 m) high. It has a population of 20,000, while the district (of 14,833 km² or 5,727 sq mi), has a population of 300,000. 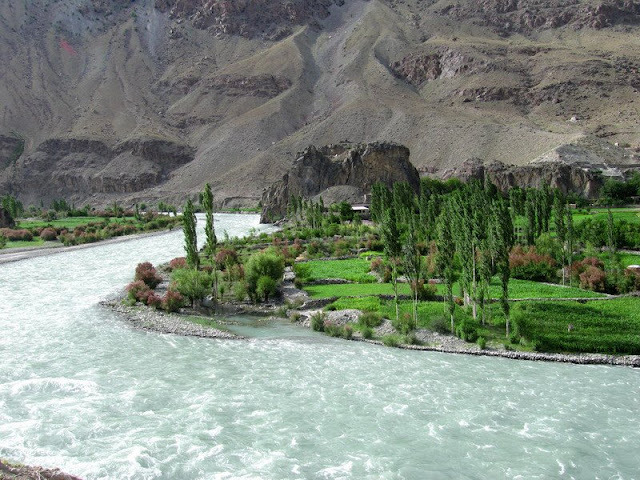 The altitude of the valley is 3,700 ft (1,100 m).It is situated north of Dir, east of Nuristan and Kunar, south of Badakhshan Province and west of the Gilgit Agency.